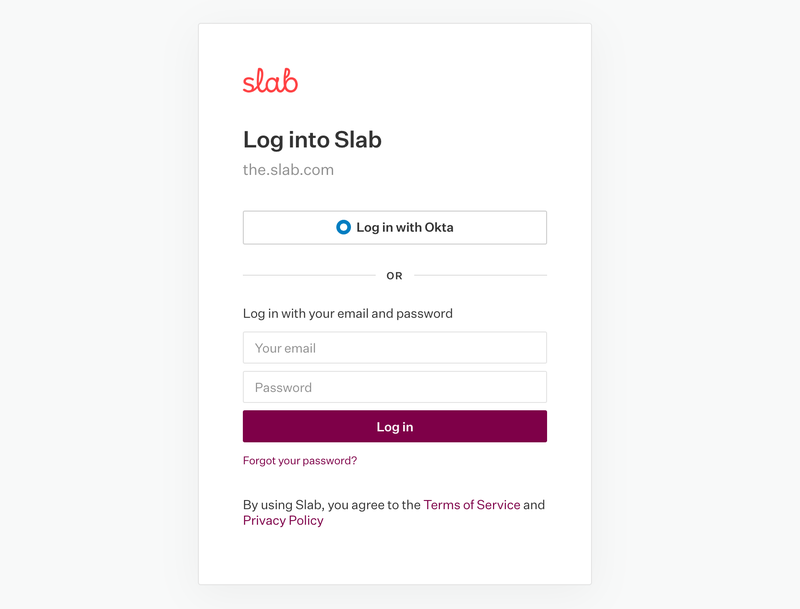 Slab supports SAML 2.0 SSO via Okta. To enable the integration, visit How to Configure SAML 2.0 for Slab and follow the Configuration Steps. With the metadata xml file generated by that page, contact our support via live chat or email [email protected] to enable Okta. Note: Okta is only available on our Business and Enterprise plans.